10.6" x 13.0" stitched on 14 count. 8.2" x 10.1" stitched on 18 count. 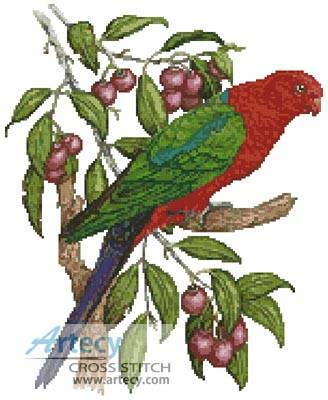 King Parrot cross stitch pattern... This counted cross stitch pattern was created from the artwork of Margaret Wight. Image courtesy of Creek's Bend Country Retreat http://www.creeksbend.com/index.html. Only full cross stitches are used in these patterns.